Appetite for Awareness, the Delaware Valley's signature gluten-free event, makes its return on Sunday, September 23. You can enter to win one of two pairs of admission tickets by dining at Pasta Pomorodo in Voorhees (700 Haddonfield-Berlin Rd.) this Sunday. A portion of the proceeds will benefit the National Foundation for Celiac Awareness. Reservations can be made for seating anytime from 5 p.m. to 9 p.m. Call chef-owner Pasquale Masters at 856-296-1268 or email him with the time and number of your party. In Tuesday's post, I chronicled our recent road trip to Pittsburgh, which - aside from watching the Pirates beat the Phillies - was delightful. On the subject of the Phillies, a limited number of tickets are still available for Celiac Awareness Night at Citizens Bank Park on Friday, July 20. Use code CELIAC to support gluten-free awareness efforts. The Phillies have donated a gift basket, which you can enter to win by visiting the NFCA table at the game. There's yet another gluten-free option joining the likes of Sweet Freedom Bakery, The QUICK FIXX and Pumpkin on Philadelphia's venerable South Street. 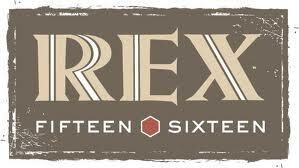 The recently opened Rex 1516 (1516 South St., 267-319-1366) has a gluten-free menu that includes a burger on a house-made bun and a delectable-sounding dark chocolate torte for dessert. (Thanks to reader Elise L. for the tip.) General manager Heather Rodkey was kind enough to share pastry chef Seamus Moriarty's gluten-free burger bun recipe. Ramona A. let me know that The Washington Inn in Cape May notes gluten-free items on its dinner menu. The Bertucci's Italian restaurant chain updated its gluten-free menu and added 11 new items, including a tapas-size baked polenta with pomodoro plate, grilled salmon and baked cod. I updated the restaurant list with the newest gluten-free menus from Center City's Tinto (114 S. 20th St., 215-665-9150) and Distrito (3945 Chestnut St., 215-222-1657). I've also added two other Jose Garces restaurants: Garces Trading Company (1111 Locust St., 215-574-1099) and Tinto's next-door neighbor Village Whiskey (118 S. 20th St., 215-665-1088). Look for the Iron Chef's Atlantic City versions of Amada, Village Whiskey, Distrito/Guapos Tacos at the new Revel resort (500 Boardwalk, 855-548-0500). Casa Bella Trattoria in Haddonfield (51 E. Kings Hwy., 856-429-2885), which plates gluten-free pasta, has a lunch-for-two deal running with MyTown VIP through Sunday for $19. 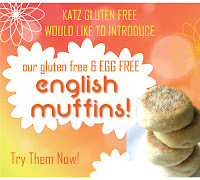 You can save an additional 10% off with code GLUTENFREE1. The Grain Exchange's Caramel Delight Bars are now available at the Marlton Whole Foods. 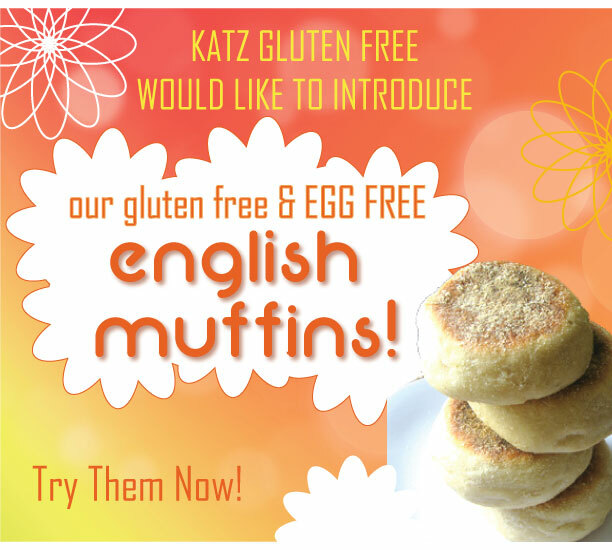 The gluten-free bakery will also be offering apple, peach and blueberry pies by special order. The Gluten Free Dynasty market at Water To Go has moved from Pennsauken to Audubon (226 S. White Horse Pike, 856-547-4025). Thanks to Miriam B. for the heads-up. Reader Eileen A., a communications and marketing professor at West Chester University and Immaculata University, has been researching the popularity of gluten-free foods in the marketplace. Her article about these foods, titled "Gluten Free: Friend or Fad? ", was recently published at industry website FoodProcessing.com. Sweet Freedom Bakery will be featured on the next Unique Sweets episode on the Cooking Channel, debuting this Sunday night at 10:30 p.m. If you haven't yet made it down to the Italian Market to try Toté's tasty breads, co-owner and chef Omer Taffet will be at Williams-Sonoma (200 S. Broad St.) tomorrow from noon to 2 p.m. with samples of his tomato pie. Atlantic Gastroenterology Associates in Egg Harbor Township (3205 Fire Rd., 609-407-1220) is sponsoring a celiac support group meeting on Tuesday, April 24 at 7 pm. You can check out the full list of upcoming events (and there are a bunch) at the blog.